Background: Low back pain (LBP) is common among nurses. Yet, studies reported contradictory results about its prevalence. Objectives: The aim of this study was to systematically evaluate the prevalence of LBP among Iranian hospital nurses. 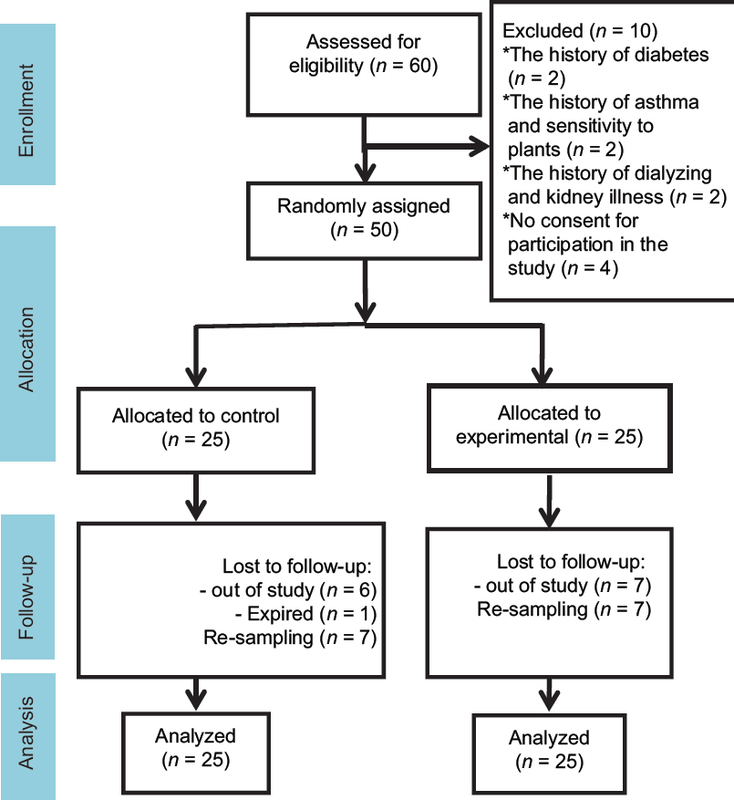 Methods: This was a systematic review and meta-analysis. Online databases such as Scientific Information Database, MEDLINE (PubMed), Scopus, ScienceDirect, and Google Scholar were searched for studies on Iranian hospital nurses' LBP published in 2000–2017. A meta-analysis was performed using the random effects model via the Comprehensive Meta-analysis software. The heterogeneity of the studies was assessed using the Cochran's Q test and I2 statistic. Results: In total, 17 studies were included. The overall prevalence of LBP among Iranian hospital nurses was 64.8% (95% confidence interval [CI]: 59.6%–69.7%). The lowest and the highest LBP prevalence rates were, respectively, 46.2% (95% CI: 43.5%–49%), among nurses in Tehran and 89.1% (95% CI: 82.2%–93.6%) among nurses in Isfahan. Meta-regression analysis revealed that increase in the sample size and the publication year of the reviewed studies were associated, respectively, with statistically significant decrease and increase in the prevalence of LBP (P < 0.05). Conclusion: With an overall prevalence of 64.8%, LBP is highly prevalent among Iranian hospital nurses. Health policymakers and hospital managers need to provide nurses with necessary educations about LBP prevention and management and make necessary modifications to their workplace in order to create an ergonomically appropriate environment for their practice. Background: Patients with breast cancer (BC) need to be supported in all aspects of their lives. Objectives: This study aimed to evaluate the impacts of nurse-led telephone-based support on supportive care needs (SCNs) in women with BC. 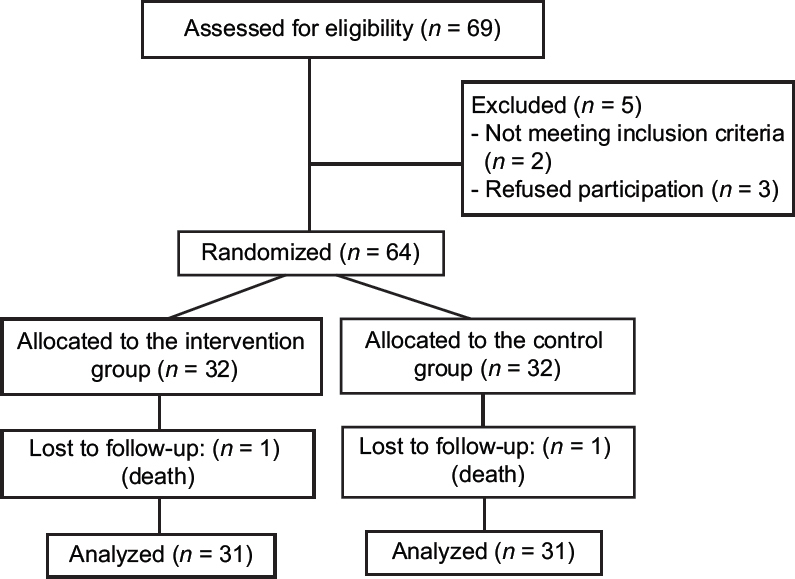 Methods: This two-group randomized clinical trial was conducted on 62 women with BC who were randomly assigned to two groups to either receive telephone-based support (n = 31) or conventional care routinely provided to patients with BC (n = 31). Patients' SCNs were assessed before, 2 weeks, and 1 month after the intervention onset using the SCNs Survey -Short Form 34 The data were analyzed through the repeated-measures analysis of variance and the Bonferroni's, Chi-square, Fisher's exact, independent-sample t, and Mann–Whitney U-tests. Results: Significant decreases were observed in the mean scores of SCNs in both groups (P < 0.001), though the decrease in the intervention group was much greater than the control group (39.08 vs. 2.87). Baseline mean score of SCNs in the intervention group was significantly greater than the control group (P = 0.008); however, 2 weeks and 1 month after the intervention onset, the mean score in the intervention group was significantly lower than the control group (P < 0.05). Conclusion: Telephone-based support is effective in addressing and reducing SCNs among patients with BC. Background: Stomatitis is a common and serious side effect of chemotherapy. It is associated with multiple consequences such as pain, oral intake disorder, infection, bleeding, and failure of cancer treatments. Objectives: This study aimed to compare the improving effect of mouthwash containing hydroalcoholic extract of Althaea root and routine mouthwash on chemotherapy-induced stomatitis. 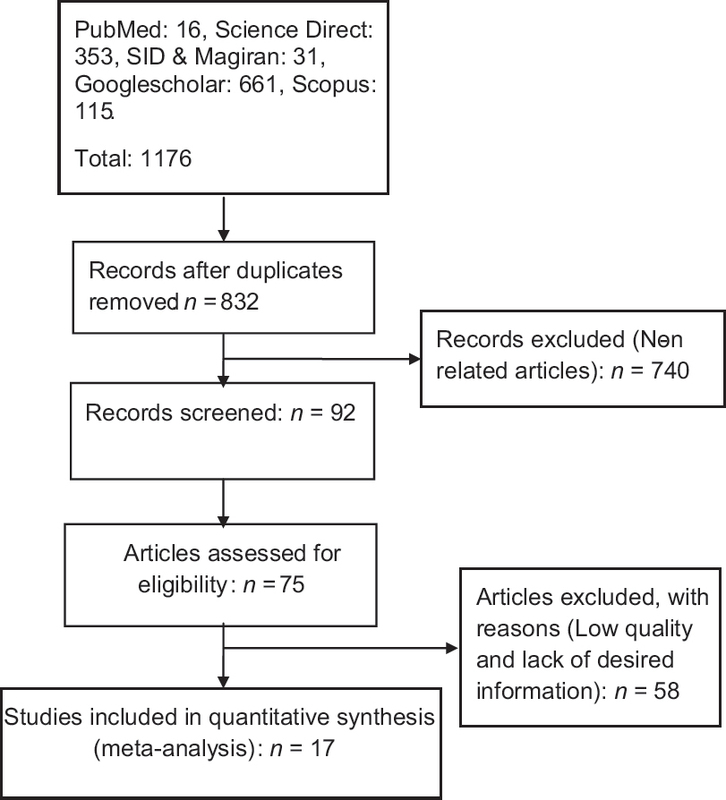 Methods: This double-blind, randomized, controlled clinical trial was conducted on chemotherapy-induced stomatitis cases (n = 50) in the Oncology Department of Shahid Beheshti Hospital, Kashan, Iran, in 2016. Patients were assigned into two groups through permuted-block randomization. The control group was treated with 15 mL of routine mouthwash solution 4 times a day for 14 days whereas the experimental group was treated with a mixture of routine solution and Althaea root extract (50/50). The severity of stomatitis was assessed at baseline, 7th, and 14th days of intervention using the Worlds Health Organization's stomatitis evaluation checklist. Data analysis was conducted using the Chi-square and Fisher's exact tests and repeated measure analysis of variance. Results: At baseline, the mean score of stomatitis in the control group was 1.92 ± 0.70, which reduced to 0.96 ± 0.68 and 0.92 ± 0.64 on the 7th and 14th days after the intervention, respectively. In the experimental group, the mean score of stomatitis was 1.84 ± 0.74 at baseline, which reduced to 1.00 ± 0.82 and 0.44 ± 0.76 on the 7th and 14th days after the intervention, respectively (P = 0.015). Conclusion: Mouthwash solution containing Althaea officinalis root extract could improve stomatitis caused by chemotherapy more than the routine mouthwash solution. Thus, the mentioned herb has the potential to be used concurrently with chemotherapy agents to alleviate the occurrence of stomatitis. Background: Aging population is progressively increasing. Older adults suffer from the different chronic health conditions such as hypertension. Behavior change is a key strategy for effective hypertension management. Successful behavior change necessitates the adequate self-efficacy. Objectives: This study aimed to evaluate the effects of a self-management program based on the 5 A's model on self-efficacy among the older men with hypertension. Methods: This randomized controlled trial was conducted in 2016–2017 on older men with hypertension in Ramsar, Iran. In total, 60 eligible participants were randomly allocated to an intervention and a control group. The participants in the intervention group were offered a self-management program based on the 5 A's behavior change model. Data were collected using a demographic questionnaire, a hypertension assessment form, the Self-Efficacy for Managing Chronic Disease Scale, and the hypertension Self-Efficacy Scale. Self-efficacy scales were completed for participants both before and 12 weeks after the intervention onset. The paired- and independent-sample t, Wilcoxon signed-rank, Mann–Whitney U, and Chi-square tests were used in the data analysis. 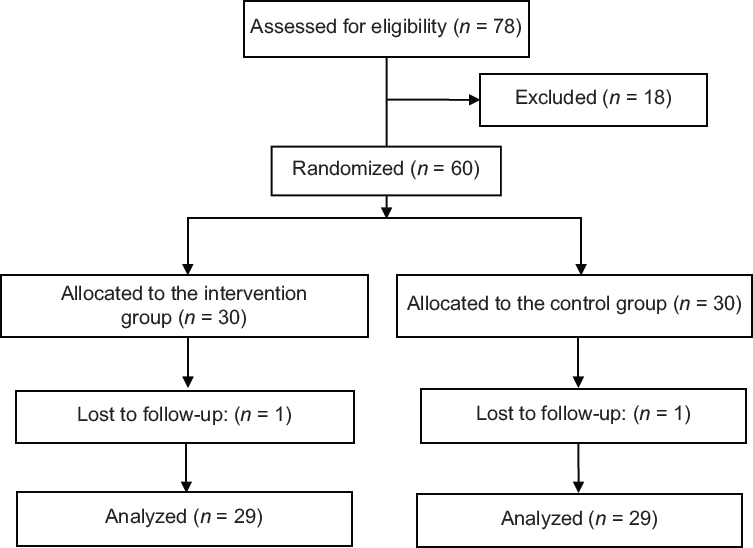 Results: The pretest mean scores of hypertension self-efficacy in the intervention and the control groups were, respectively, 48.62 ± 11.71 and 44.65 ± 15.4, which significantly increased to 79 ± 13.13 and 62.06 ± 15.38 at posttest (P < 0.001). Moreover, the pretest mean scores of chronic disease management self-efficacy in these groups significantly increased from, respectively, 5.64 ± 1.28 and 5.35 ± 1.40 at pretest to 8.05 ± 1.29 and 6.12 ± 1.48 at posttest (P < 0.001). The pretest–posttest mean differences of the mean scores of both types of self-efficacy in the intervention group were significantly greater than the control group (P < 0.001). Conclusion: The self-management program based on the 5 A's model is effective in significantly improving the self-efficacy among older men with hypertension. Background: Maternal postpartum depression (PPD) is a common problem after childbirth. It is a risk factor for low-quality mother–infant interaction. Infant massage may help alleviate depressive disorders. Objectives: This study aimed to investigate the effects of infant massage by mothers on maternal PPD. 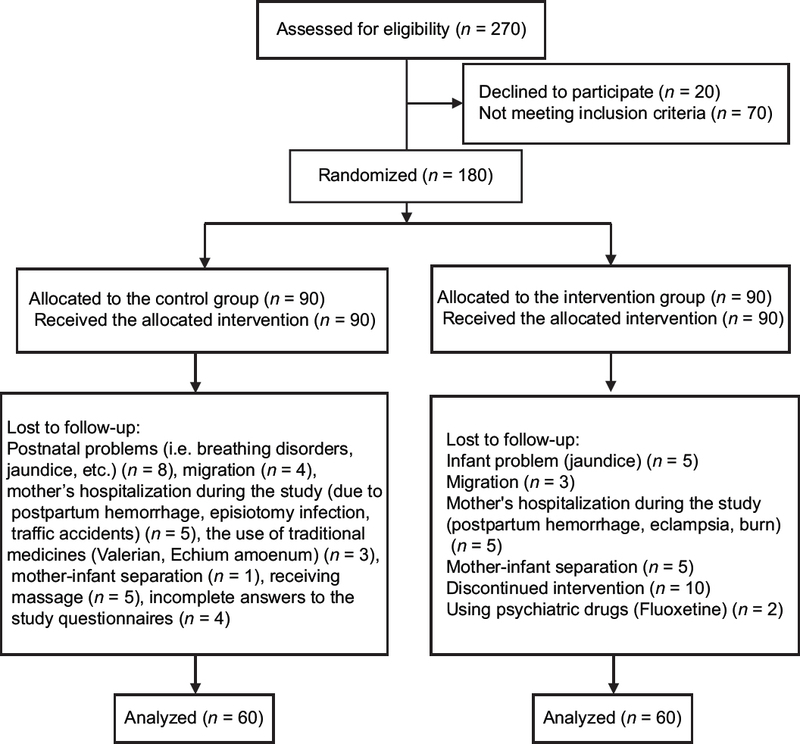 Methods: This clinical trial was conducted on 120 primiparous mothers with PPD. Mothers were randomly recruited and allocated to a control and an intervention group. In the intervention group, mothers were instructed to give their infants 15-min massage twice daily for 6 consecutive weeks from the 3rd postnatal week onward. However, mothers in the control group did not receive such training. Before and after the intervention, PPD was assessed using the Edinburgh Postnatal Depression Scale. Data analysis was performed using the Chi-square test, independent-samples t-test, paired-samples t-test, Wilcoxon signed-rank test, and univariate and multivariable logistic regression. Results: Groups did not significantly differ from each other concerning parents' and infants' demographic characteristics (P > 0.05) and the pretest mean score of PPD (P = 0.46). However, the posttest mean score of depression in the intervention group was significantly lower than the control group (7.75 ± 2.18 vs. 9.2 ± 2.04; P < 0.001). In addition, the posttest relative frequency of PPD was significantly lower in the intervention group (15/60 [25%] vs. 26/60 [43.3%]; χ2 = 4.48; P = 0.034). After controlling the effects of other variables, the odds of PPD in the intervention group was 0.5 times (95% confidence interval: [0.2, 0.94]) less than the control group (P = 0.003). Conclusion: Infant massage by mothers significantly alleviates maternal PPD. Health-care professionals, particularly midwives, are recommended to instruct mothers to provide infant massage in order to alleviate their own PPD. Background: Spiritual care is an integral part of holistic care. Its delivery should be based on patients' spiritual needs. Objectives: This study aimed to explore the interprofessional dimensions of spiritual care for chronically ill patients. Methods: This exploratory qualitative study was done in Isfahan, Iran, on a purposive sample of 25 participants including patients, family caregivers, nurses, physicians, psychologists, social workers, and religious counselors. Data were collected through semi-structured interviews and analyzed through conventional content analysis. Results: The interprofessional dimensions of spiritual care for chronically ill patients fell into four main themes. The first theme was religious care with the three subthemes of assistance in doing religious rituals, assistance in referring to religious values, and assistance in doing religious activities. The second theme, that is, pastoral care, consisted of three subthemes, namely, assistance in finding the meaning of life/death/illness, assistance in achieving spiritual transcendence, and encouragement to communicate with self and to do spiritual exercises. The third theme was psychological care, the four subthemes of which included assistance in acquiring peace of mind, assistance in accepting and coping with illness, assistance in creating a source of hope, and empathizing with patients. Finally, the fourth theme was supportive care and included the four subthemes of support and assistance to meet basic needs, continuity of care after hospital discharge, providing patient and family education, and respecting patients. Conclusion: Spiritual care has different dimensions. Its delivery necessitates adequate knowledge and expertise, close interprofessional collaboration, effective teamwork, and efficient patient referral system. Background: Measurement of nursing activities is used for workload assessment, performance evaluation, and workforce management. Objectives: This study aimed to measure care and noncare-related activities among critical care nurses and to determine their contributing factors. Methods: This cross-sectional observational study was conducted from July to September 2017. All care and noncare-related activities of 70 critical care nurses in a public university hospital in Kashan, Iran, were assessed through the time and motion technique. Each nurse was observed throughout a 6-h morning shift. Data were collected using a nurse and patient characteristics questionnaire and care and noncare-related activities checklist. The paired and the independent-samples t-test, Mann–Whitney U-test, Kruskal–Wallis tests, and the one-way analysis of variance were used for data analysis. Results: The duration of nurses' care-related activities (249.10 ± 65.00 min, i.e., 69.2% of a 6-h shift) was significantly more than the duration of their noncare-related activities (111.00 ± 48.30 min, i.e., 30.8% of a 6-h shift). Respecting care-related activities, participants spent 53.5% of their time on direct care and the rest 46.5% on indirect care; whereas respecting noncare-related activities, they spent 76.5% of their time on personal activities (such as making personal calls) and the rest 23.5% on unit related tasks. 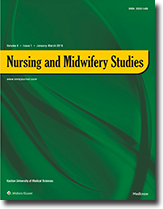 The duration of nurses' activities had significant relationships with their unit, nurse–patient ratio, and patients' age, gender, and diagnosis. Conclusion: Critical care nurses spend their time mostly on care-related than noncare-related activities. Closer managerial supervision of nurses' activities, in-service educations about effective time management, and determination of the optimum nurse–patient ratio and the best task division schedule are needed to reduce nurses' workload, improve care quality, and enhance patient satisfaction. Background: Care quality improvement necessitates the identification and fulfillment of patients' care needs. Yet, there is no comprehensive information about the care needs of patients with coronary artery disease (CAD). Objectives: The objective of this study was to analyze the concept of care needs in the Phase I of cardiac rehabilitation (CR). Methods: This concept analysis was conducted using the three-phase hybrid model. In the first (theoretical) phase, the attributes of care needs were identified through a literature review. In the second (fieldwork) phase, data were collected through semi-structured interviews and were analyzed through directed content analysis to determine the attributes of care needs based on the sociocultural context of Iran. Six patients, five nurses, and one surgeon were purposively recruited from two university hospitals and one private hospital in Ahvaz, Iran. In the third (final analytic) phase, the results of the first and the second phases were integrated, and the final attributes of the concept were identified. Results: The first phase revealed that the concept of care needs has three main attributes, namely physical, psychological, and social care needs. Besides confirming these three attributes, the second phase showed that the concept also has another attribute, that is, spiritual care needs. Conclusion: The concept of care needs in the Phase I of CR includes the four main dimensions of physical, psychological, social, and spiritual care needs. The findings of this study provide useful information for the careful assessment of care needs among patients with CAD.